Yesterday I released two “new” products. They are both revisions of projects you’ve seen on the blog before. They are both the second revisions. 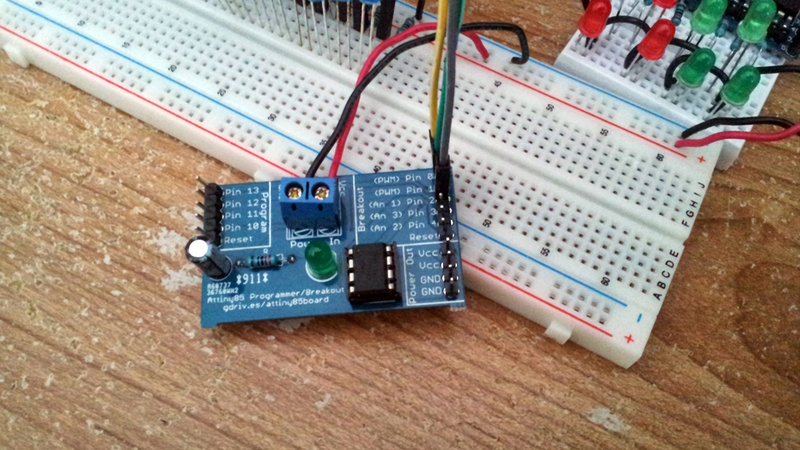 They are the Attiny85 Programmer & Breakout Board and the Atmega328p Breakout Board. They’ve both been completely redesigned (ie. manually routed this time) with new features! Remember this clunky old thing? This is the original Attiny85 Programmer & Breakout. I really wanted to go for something more compact and breadboardable. I really like how the new one turned out because my measurements worked out! The board can sit on the edge of an 830-point breadboard so that the programming and breakout pins fit into the prototyping area, with the input power pins fitting nicely on the side power rails. To the right is the old Atmega328p Breakout. There’s not much change to the way it looks but the new board does have a few nice changes to it. The new board now breaks out the reset pin so that you can add an external reset. 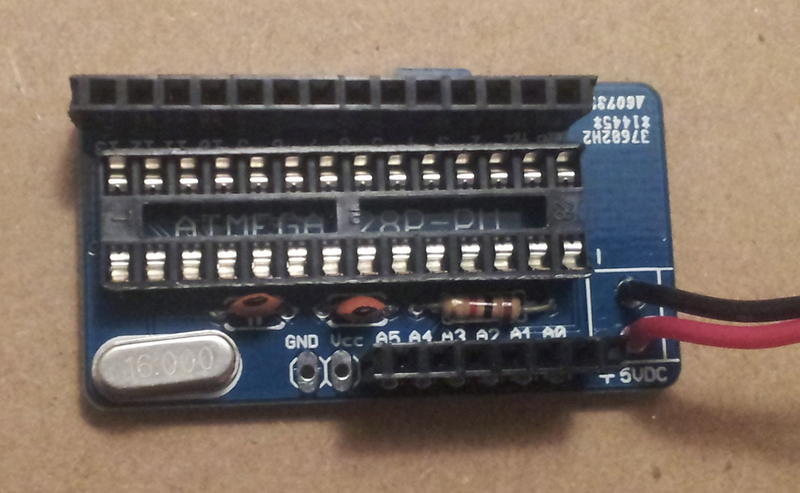 Both boards now have LED power indicators, SMD components, and 6-pin ISP headers. Head on over to my Tindie store to check them out! So that’s what’s been going on. I’ve been meaning to do a new light show (possibly sans fountains for now). I mostly just want to use my new shift register boards with the PWM control it now allows… Stay tuned and thanks for visiting!